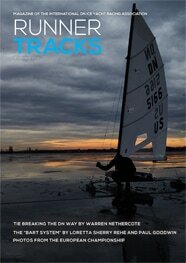 There’s a ballot arriving in your mailbox within the next few days. 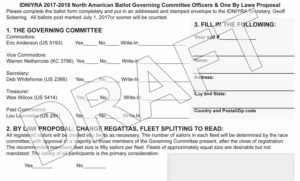 You will be voting to elect officers and on a proposal regarding how regatta fleet splitting is determined. Please take a few minutes to fill it out, put it an envelope,stamp it, and mail to Secretary Geoff Sobering. All ballots postmarked July 1, 2017 or sooner will be counted. 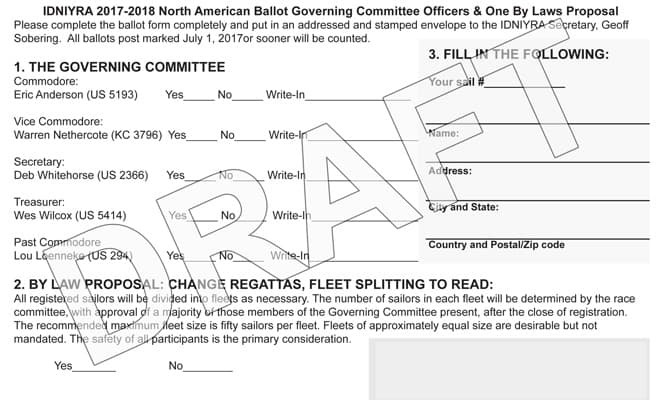 If you are a member and don’t receive the ballot, please email to exec.secretary@idniyra.org and I will mail one to you.